Of course, these events are not just about the experts and prizing, our 2019 baby showers are designed to spoil guests with beautiful food, innovative products to try and generous goodie bags. Special guest speaker, Chris Minogue will be on hand to share wisdom gathered from her 30 years experience as a mothercraft nurse. Broadcaster Shevonne Hunt, host of parenting podcast Feed Play Love and mum of two, will host this brilliant event. 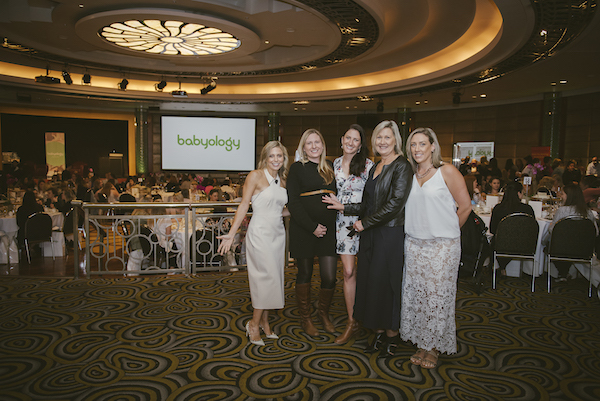 Victorian mums if you haven’t snapped up one of the final tickets, here’s what you need to know: the 2019 Melbourne Baby Shower presented by Nurofen for Children is happening on Sunday 14 April at the luxurious Park Hyatt Melbourne Ballroom in the city. Then we head to New South Wales and Queensland, with our Sydney Baby Shower event on Sunday 23 June and for the first time, our Brisbane Baby Shower event on Sunday 25 August. Celebrate your baby with family and friends, be spoilt and meet other mums. Our brilliant event partners will be on hand, sharing advice and information, with many also demonstrating the latest must-haves for parents and babies. Since 1999, Australian parents have been using Nurofen for Children* to help their kids with relief from pain and fever as they grow up. FeverSmart Temperature Monitor brought to you by Nurofen for Children** and refills pack valued at $139.95 and $9.99. A Cocoonababy Pack valued at $457.00. It includes one Cocoonababy with its White Fleur de Coton fitted sheet and tummy band, one Cocoonacover blanket and a spare fitted sheet. Kinderling Kids Radio is the perfect soundtrack to your young family’s life with music moves; tailored programmes for families; favourite children’s stories; and calming and soothing meditations and ambient music to help little (and big) kids drift off and stay asleep through the night. Kinderling are giving one lucky baby shower attendee a Hepburn II, Digital Radio and Bluetooth Speaker. 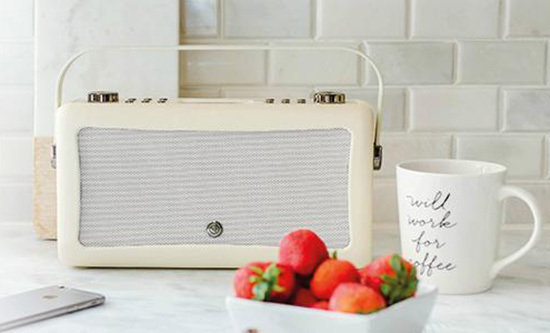 This vintage style, cream digital radio features all the modern functionality you could ever possibly need. It’s also super-portable, as you move through the day, it will move with you. Mama Tribe is a national mum meet-up community with the motto #nomumleftbehind. Through Mama Tribe’s network of meet-ups and events, mums can meet other mums in their area for friendship and support. Mama Tribe are giving away 2 tickets to the Mama Tribe Pop-up Party at Watermark Docklands on June 1. This prize is valued at $138. Mama Tribe is also giving away a Mama Tribe x Whitehaven Emporium Member Jacket valued at $99. Goodstart is Australia’s largest provider of early learning and care. As a not-for-profit social enterprise, they exist purely to improve the lives of children and their families. They believe all Australian children should have access to affordable, quality early learning and care. Their aim is for Australia’s children to have the best possible start in life and to ensure children have the learning, development and wellbeing outcomes they need for school and life. Find a Goodstart centre that’s the right fit for your family. Tickets for these stylish and informative events are almost sold out. Grab your besties and celebrate your baby with us … but be quick or you’ll miss out! Our Melbourne events take place on Sunday 14 April at the Park Hyatt Melbourne Ballroom. There are two sessions to choose from – 11.30am or 2.45pm. Grab your tickets and join us for high tea plus lots of other treats. *Nurofen for Children: This medicine may not be right for you. Read the label before purchase. Follow the directions for use. Incorrect use could be harmful. If symptoms persist, talk to your health professional. **FeverSmart Temperature Monitor: Always read the label. Follow the directions for use. If symptoms persist, talk to your health professional.